We are Leading Manufacturer, Exporters & Supply of a wide range of Vogele Paver Spare Parts in India. Asphalt Paver Finishers are required to pave the hot mix fabric on the road. 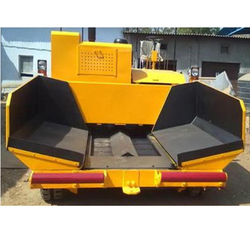 Powered by German make hydraulic pump and motor, it incorporates latest technological features for higher than average H.P power for super smooth paving on gradients. - European-make electronic Grade & Slope control with remote controller. Machine Steering: Hydrostatic steering for effortless operation. - We offer a comprehensive range of Hydrostatic Sensor Paver Finisher, used for paving or laying the hot mix material on the retraced surface. Paving speed (m): 0 to 80mtr./min. We offer our client an excellent quality range of Hydrostatic Sensor Paver Finisher with grade and slope sensor, which are made from high grade quality raw materials. It can be customized as per our precious customers specifications. We specialize in offering a qualitative assortment of Sensor Paver Finisher to our clients spread across the domestic and the international markets. These Sensor Paver Finishers are widely appreciated by our clients which are situated all round the nation. 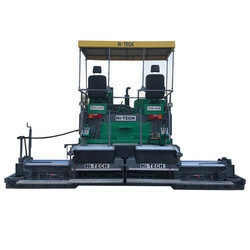 These Sensor Paver Finisher are provided for lease and they are appreciated for robust construction, easy installation and high efficiency.